Sudheesh Ramapurath C. is a D.Phil. candidate at the Oxford Department of International Development, University of Oxford. 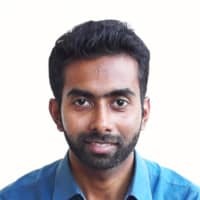 His research explores the impact of agrarian changes and land policies on landless indigenous peoples in the southern Indian state of Kerala. His publications have appeared on The Wire, in the Indian Journal of Human Development and in Citizenship Studies. How do the needs of indigenous communities transform over time, and how can these same communities integrate themselves into a rapidly changing society? We sat down with Sudheesh Ramapurath, an ethnographer and a DPhil candidate at the University of Oxford, to talk about his research on Land and Livelihood struggles in India, his homeland. More specifically, Sudheesh’s research focuses on the struggles of the Paniyas, a community that is part of India’s indigenous peoples, the Adivasis. Sudheesh analyzes how, over time, starting from pre and post-independence periods right up to the modern day and age, the Paniyas are still living under the poverty line. Why? What do they want? What do they need? What is the role of research? We met Sudheesh Ramapurath, during the conference: Overcoming Inequalities in a Fractured World: Between Elite Power and Social Mobilisation, organized by The United Nations Research Institute for Social Development (UNRISD). the Centre of Poverty Analysis.